Choose from three unique treks to the beach! 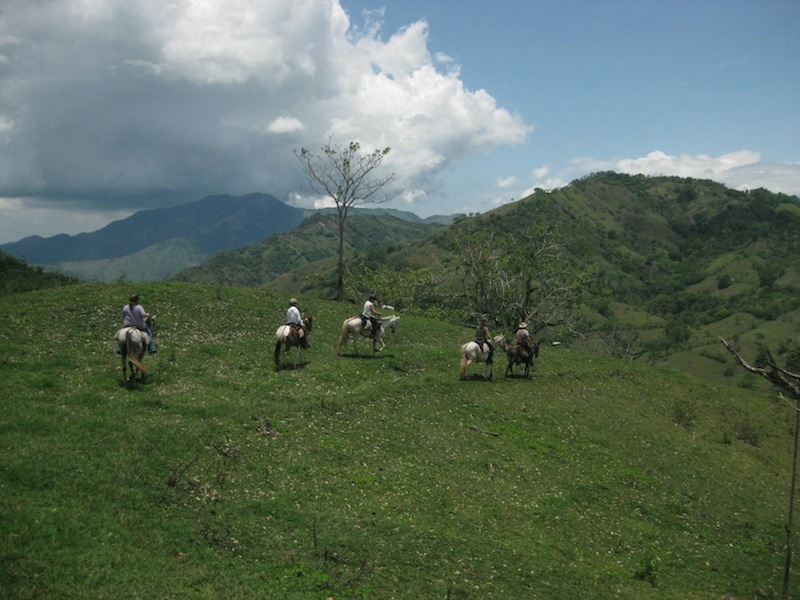 On our treks, you travel day by day on horseback for a week. We have three different treks to choose from. On the Rainforest Trek you visit working farms, National Parks and a Canopy Zip Line. On the Jungle River Trek, you experience true wilderness areas as you follow the Rio Tulin from its headwaters to the ocean. You are sure to see monkeys on the Sabanero Nicoya Trek With all three of these treks, each day is different from the last as you travel through a variety of ecosystems, from the mountains down to the beach. Our friendly, trusting, strong, athletic and happy horses will fill your week-long adventure with wonderful moments. Sharing the adventure with like-minded horsemen and women who share your interest in Natural Horsemanship and understand the intelligence of horses and how to relate to them adds to the beauty of the experience. On the trek, you will be riding out on trails and handling your horse in a variety of situations. Your horsemanship skills will grow as you leave the artificial environment of the arena and head into the real world with the support of your fellow trekkers and/or your guides.